← Zombie Literature Appreciation Day Party: our May monthly meeting! A one-time donation of $10 will be added to your mobile phone bill or deducted from your prepaid balance. You may also receive up to 4 messages per month from NPO Alerts. Msg&Data Rates May Apply. All charges are billed by and payable to your mobile service provider. Service is available on most carriers. 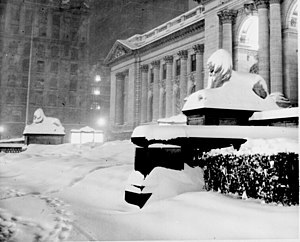 Donations are collected for the benefit of The New York Public Library by the mGive Foundation and subject to the terms found at http://www.mGive.com/A. To unsubscribe text STOP to 27722, for help text HELP to 27722. Presumably, those texts only work in the US. But that shouldn’t stop you from donating to your local library, should it? If there was more room somewhere in the library, maybe a flash mob dance to perk things up. As a side note, I did work in a library where the historic, heritage building does have a story or 2 about a wandering ghost. The Carnegie? I know SO MANY people with stories about the ghost there. I wrote a short story about it once. A friend of mine was chased down the stairs by the ghost, terrified.